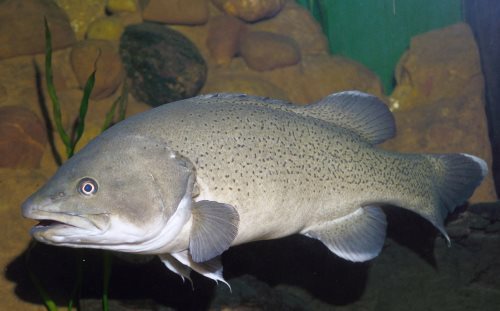 The Trout Cod is endemic to the southern Murray-Darling river system, including the Murrumbidgee and Murray Rivers, and the Macquarie River in central NSW. The species was once widespread and abundant in these areas but has undergone dramatic declines in its distribution and abundance over the past century. The last known reproducing population of Trout Cod is confined to the Murray River below Yarrawonga downstream to Tocumwal. Trout Cod can grow to 85cm and 16kg, but are more common to 50cm and 1.5kg.